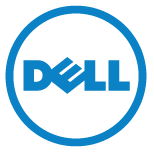 They have chosen to keep on the brand names of many acquired products so you may not in fact realise that Dell actually now owns many very well known IT brands such as Wyse, Quest, vRanger and Foglight, Due to all these acquisitions they do have competing products and a lot of overlap which can be a strength and also a weakness. They can position the different brands at different markets and act more like a consumer goods company with targeted marketing. Unilever sells multiple detergents at different price points to different markets, can this be compared to Dell? However having a disparate and overlapping product portfolio makes it harder to sell more expensive bundles and cross sell to other products. It also makes it difficult to deliver a cohesive strategy for IT management and be seen as that “we can help you do everything” IT services company. The elephant in the room as with every other large enterprise IT company is whether they can pivot successfully to take cloud market share with ever decreasing reliance on legacy hardware and IT infrastructure software revenue. Are they tacking this challenge as a private company correctly without public scrutiny, do they have an awesome trick up their sleeve they’re going to let us know about or are they burying the skeletons in the closet?